"Turkish rug materials - wool, silk or cotton. Which one is the best buy?" When you're buying your Turkish carpets, besides size, the most important thing to decide on is what material you want your rug to be made out of. If you think your eye is not trained enough to discern the different types of materials, don't worry, when you go to a Turkish rug demonstration, you will get a good training. There will be so many rugs unrolled right in front of your eyes, you will soon start discerning the differences in the thickness of the pile, finesse of the tessels, the warmth of cooling effect...all products of different materials used. Turkish rugs can be divided into four categories according to materials used. 1a) Turkish Kilim Rugs or flat-weaves: these are formed by horizontally passing a yarn of a particular color under the vertical yarns. They have no pile. All flat-weave rugs are made out of wool so there won't be any confusion...you've just mastered the first category! You can learn more about kilims in our article Turkish kilim rugs. These will be easy to recognize, too. Wool on wool means that their skeleton is made out of wool (feel the tassels) as well as the knots, which make up the pile! Knotted means that a thread is wrapped all the way around the two warps, pulled down and cut to form a short, warm and shaggy surface you will be walking on! 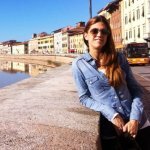 Mentioning knots, it's important to mention that a rug made in Turkey is always made with the symmetrical or double knotting technique, which takes more time but also gives it more strength. That is why rugs from this area are so valued. Other oriental rugs are made with the single knot technique. Wool-on-wool carpets have the so-called casual designs because the wool skeleton doesn't hold the design so strongly. They usually have a smaller number of knots in a square inch and the picture isn't as sharp as with the wool-on-cotton or pure silk rugs. These carpets are the most affordable of all categories. In case the skeleton is cotton - it gives a stronger hold to the design and therefore the picture is much sharper, too. You will be able to know it's cotton if you feel the tassels. It is used for so called "formal carpets" as their motifs tend to be floral. What plays a big role in the value of these carpets is the number of knots in a square inch. The minimum amount of knots a rug should have to be considered a good rug is 250 per square inch! 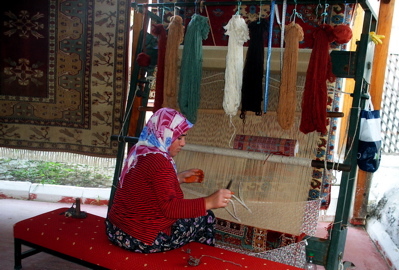 Quality of wool used in making a Turkish rug also plays a role in value. The best wool comes from sheep from cold areas as they grow fuller fleeces. Their wool has more lanolin in the fiber - it makes your rug's wool silky smooth and resistant to outside influences and therefore longer living! Quality of dye used is another factor that has to be taken into account, too. You can read more about those in our article Turkish Oriental Rugs - Colors and Motifs. Throughout all the years that we worked as Port Lecturers on Mediterranean cruise ships and held hundreds of rug seminars, one of the most typical questions from our guests would be: "So how much can we expect to pay for a 4X6 rug?" As you can see, besides size, there are many more factors that will influence the price of your rug! These are simply a wonder of nature, so if you leave Kusadasi with one them, really congratulate yourself! Silk rugs demand lots of skill, work, patience, extremely nimble fingers and an incredible eye and all of it will reflect on its price. First of all, let us remind you how silk is made: it is a natural thread that comes from silk cocoons, you might have a chance to see in one of the Kusadasi stores where your Turkish rug demonstration will be held. Silk worms spin one long thread into a cocoon, then they are boiled and unrolled. One thread can stretch up to 1 mile which is really fascinating. But what's even more amazing is that 20 000 cocoons are needed for 1 average size carpet! Now, that's a lot of work for one carpet right there. Silk has a very high tensile strength, can be twisted very finely and it's very resistant. It's not only fine to the touch, it is also pleasing for the eyes. When you attend a Turkish rug demonstration, you will have the sales assistants turn silk rugs in front of you so you can see them fron different angles. When they do that, pay attention to the colours! What will seem like silk rug of very subtle and pale washed out colours from one side, will be a rug rich with vibrant colors from the other. You will think you are looking at two different rugs! This happens because of the way light bounces off the pile of the silk rug. Once you see this you will start believing in the existence of the magic Turkish rug! Apart from their aestetic values, silk rugs are good for your body, too. They do not collect dust and take static electricity away from your body! The most famous silk rugs are Hereke rugs, in the past admired by sultans and European nobility. A regular Hereke carpet has 1,000,000 knots per square meter. Today, some exceptional Hereke rugs are woven with 3,240 000 knots per square meter. Cotton is used for both the skeleton and knots. However, cotton used for pile is actually treated in a way to look and feel like silk. Therefore, the feel of it is very fine but you can save a lot on the price. Cotton on cotton rugs are a great alternative to real silk rugs if you would like the same look but don't have the budget for it. The only problem is that to your untrained eye, it will be impossible to discern between real silk and cotton. That's why, please be aware of the "too good to be true" sounding prices for silk rugs. It is very possible you will be thinking you're buying silk but will go home with plain mercerized cotton. 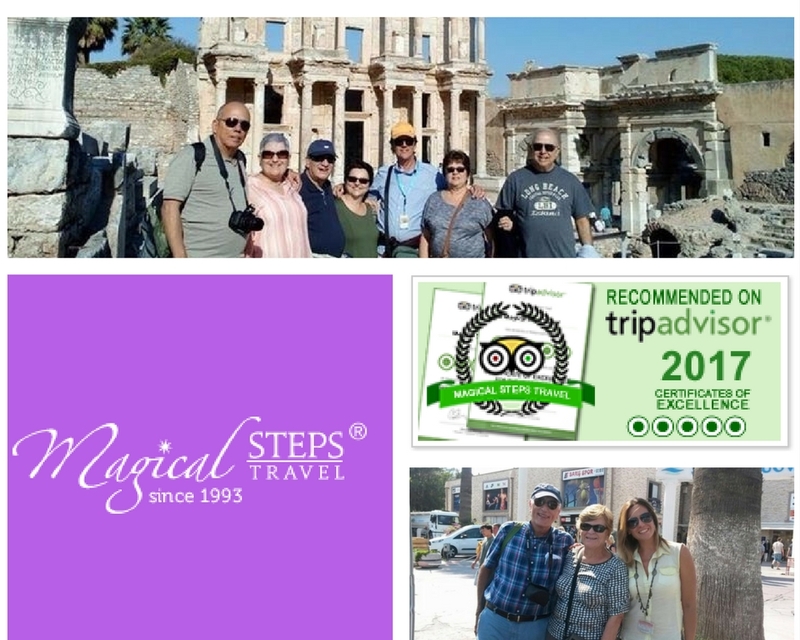 If you are looking for a reputable tour guide that would be your host in Ephesus and help you getting an authentic turkish rug, check our page Daily Ephesus Tours.